Carey Rossi March 18, 2016 February 24, 2019 Food, General Health, Heart, Hormones, Too Much? Over the last two posts I have written about how consuming large amounts of fruits and vegetables containing oxalate or potassium can be detrimental to my health, and it got me thinking: Could eating too much almond butter be bad for me? Almond butter is a staple in my diet because it has health benefits. For instance, it can help manage your blood sugar. Research has found that peanut butter, peanuts, and almonds profoundly impact your blood sugar, keeping it stable past lunch and achieving the second meal effect, according to a study in the British Journal of Nutrition. What’s the second meal effect? It’s when your body doesn’t sort out your blood sugar management system until your second meal of the day. Almonds, and other nuts, can create this second meal effect because they are high in fat, they will empty from the stomach slower, Dr. Mettes says. By impeding carbohydrate from emptying, it slows its absorption, and as a result, you don’t see as big a swing in blood sugar. Since my family history has a strong diabetes presence, the less insulin resistance that occurs in my body the better. So it isn’t uncommon for me to begin my day with almond butter and a banana, apple, pear, or, even a sweet potato. But this isn’t the only time that I nosh on almond butter. I eat it when I want a quick snack, when I am craving something sweet (not sure why it takes care of that, but it does), when I want ice cream (now, that is a mouth feel thing), and sometimes I will have it for lunch the same way I had it for breakfast but swap the plant food. When looking at the nutritional information for natural ground almond butter without salt, which is what I eat, one tablespoon has 101 calories, 79 of those are from fat. There are 9 grams of total fat, 3 grams of carbohydrates — one of which is from fiber, and 2 grams of protein. Nothing surprising here. Most of the fat in almond butter comes from monounsaturated (MUFAs) and polyunsaturated (PUFAs) fats. According to the American Heart Association, these fats can help reduce the levels of bad cholesterol in your blood, which lower the risk of stroke and heart disease. The American Heart Association also says these benefits occur when eaten in moderation. I’m not sure you could call my almond butter habit moderate. In addition, PUFAs provide the essential fats, omega 3s and omega 6s, that our body cannot produce on its own and that it needs for many bodily functions. Almond butter contains a lot of omega 6 fatty acids, 1901 mg, compared to the 67.7 mg of omega 3 fatty acids a tablespoon contains — this could be a problem. The thing is: Hormones are constructed from omega fatty acids. Those derived from omega 6s tend to increase inflammation, blood clotting, and cell proliferation, while those derived from omega 3s tend to slow these functions. The key is to keep them in balance — something my daily omega 3 supplement isn’t even making a dent in doing. When they are not in balance, there is an increased risk for coronary heart disease, cancer, autoimmunity and neurodegenerative diseases, as well as possibly contributing to obesity, depression, dyslexia, hyperactivity, and even violent tendencies. Yikes! What about the vitamins and minerals in almond butter? It is a rich source of the mineral magnesium. A tablespoon of almond butter delivers 48.5 mg of the stuff, which is about 12% of what your daily intake should be. 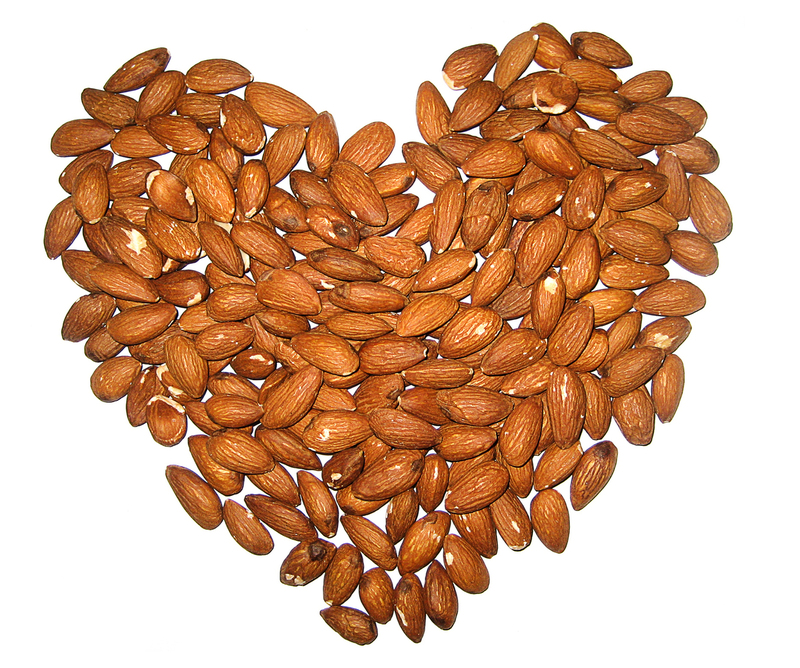 You can get too much magnesium; the upper limit is 350 mg or a little over 7 tablespoons of almond butter. When magnesium builds up in the body, it could lead to irregular heartbeat, low blood pressure (something I already have), confusion, slowed breathing, coma, and death. So besides the almond butter that I consume (and there have been 7 tablespoon days), I am also getting magnesium when I eat other high-magnesium foods, such as leafy greens, unrefined grains, and beans. Almond butter is also a significant source of manganese with .4 mg of the stuff in a tablespoon; however, I am not as worried about that since the upper limit for toxicity is 11 mg.
Too much almond butter could hurt my health. Just like I had to scale back on my potassium-rich foods, it looks like I will need to include limits on my almond butter consumption. Boo. Next Will the Microsoft Band 2 Replace my Fuelband? I am taking pills for high cholesterol. I bought some almond butter. I usually have a almond butter sandwich with sugar free jam, either for lunch or in the evening. Hopefully it will help lower my bad cholesterol, and help me lose weight. Hi Richard, Thank you for the comment and hope your cholesterol has crept down. Like you, I love almond butter. My staple for my breakfast for years has been to core an apple, cut it in half, and put a tablespoon of almond butter on both halves. Looks like I’d better drop that down to one TEAspoon of almond butter on each half of the apple. Thank you for your article! Thank you Craig. Glad you like it. One tablespoon for the entire apple doesn’t sound like a bad thing.